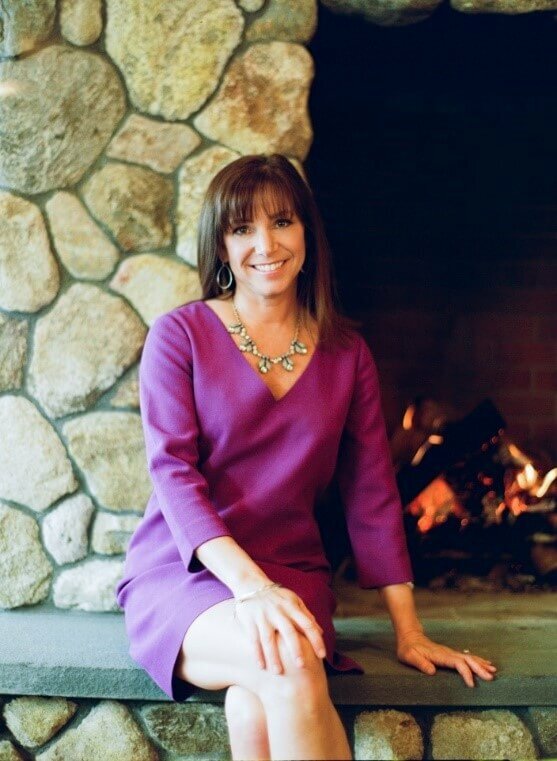 We’re thrilled to introduce the first participant in our Buyer Profile series, Kristin Canty, the restaurateur behind New England’s famed Woods Hill Table, and a proud new member of the PIER 4 community. Kristin is the owner of Woods Hill at PIER 4, the Seaport’s first farm-to-table restaurant that will provide the neighborhood with delicious meals crafted from sustainable and locally-sourced ingredients. In addition to her work at Woods Hill, Kristin will be a resident at PIER 4. We sat down with her to discuss what she’s most excited about. I chose PIER 4 for a variety of reasons, with the most obvious being that my business, Woods Hill at PIER 4, will be anchoring its retail space. My team and I take a lot of pride in our work and are attentive to all the details that come with making a great dining experience – from outstanding natural ingredients to unbeatable service and ambiance – to make sure that we are providing all our patrons (and my neighbors!) with the best possible dining experience. Apart from that, I truly love the Seaport neighborhood. I’ll be moving from the Concord, MA area, so I’m thrilled to be able to still enjoy the greenery that I’m used to in the suburbs at PIER 4 given its one-acre park. The Seaport is such an exciting, booming part of the city, and will provide me and the other residents with such a convenient lifestyle. Fresh retail and entertainment around every corner, amazing waterfront living and the ability to take a water taxi to the airport in 12 minutes – it’s everything I could ask for. Tell us about PIER 4’s kitchen design. Anything unique or special about yours? I’m so excited for my new kitchen. I love to entertain and host friends and family at my home, and PIER 4’s kitchens are perfect for that, especially considering how spacious and organized they are. My island is positioned perfectly for serving and mingling, and opens right into my living room so I’m never closed off from my guests and can be social while I cook. It also lets me look right out onto the water, which I love. The Gaggenau appliances are also spectacular. They’re very sleek and professional and will definitely make my life easier: food is the root of my career and brings people together, often laying the backdrop for special moments and memories. I can’t wait to test recipes with my family and friends using top-of-line equipment. I’m also personalizing my kitchen with a backsplash that will play off of the blues from the ocean. Since I’ll be living so close to the water, I’ll be decorating my home in a way that celebrates it. Any interesting interior design elements of your home? I’ve always wanted to be able to wake up on the water every day and bring its energy into my interior design and everyday life. I recently got back from a yoga retreat, so I’ll be decorating my living space so that it is conducive to meditation and takes advantage of the water views. The ocean is so calming and inspiring, so I’m looking forward to turning my space into a personal little oasis. Woods Hill at PIER 4 will be located in the retail space at the tip of the building directly facing the park and the water, so its design will also definitely play off of its location. I plan on carrying this over into my own home and creating some synergy there with their designs. I’ve recruited an interior designer that is 100% eco-friendly, so all of my home’s décor will be organic, sustainable and chemical-free. My restaurant is farm-to-table and uses locally-sourced ingredients, so that mentality will be reflected in my home as well: very natural, fresh and unique. One kitchen item you can’t live without. My stock pot, which is perfect for big batches of bone broth, or any type of soup or stew. I’m planning on making New England clam chowder as my first meal once I move in, using fish from Red’s Best and clams from Island Creek to keep everything local and fresh. What restaurants / activities are you most eager to try in the neighborhood? All of them! I’m a big fan of oysters and raw foods like tartare, sushi and ceviche. Lola 42, Strega and Row 34 are just down the street, and Legal Harborside is right around the corner, so I’ll be closer than ever to all my favorites once I move in. 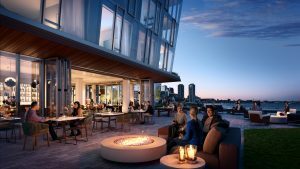 With PIER 4’s delivery just around the corner this spring, we’ll be featuring more buyers who are eager to talk about what they’re most looking forward to once they move in. Keep an eye on our blog, Facebook and Instagram to see who else you will be in good company with at PIER 4.